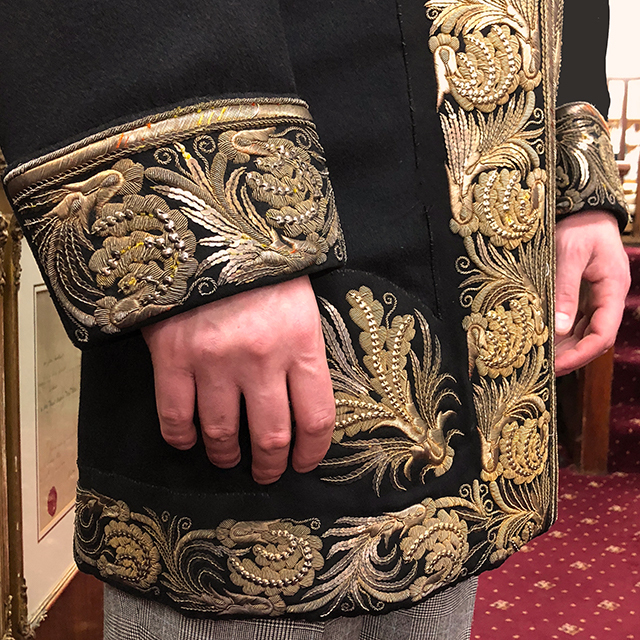 This most mysterious & beautiful ceremonial coat was brought to us back in December 2017 to be repaired. If we're honest we do not know much about its origins other than it hails from the Middle East and is about 175 years old. Resident historian and director, Brian Lewis, believes 'The braid looks like it has a high content of gold, much more than you see in braid produced today'. If any of our dedicated readers know more do please get in touch with us or via our Meyer & Mortimer Twitter account. Please scroll down for updates on our work. 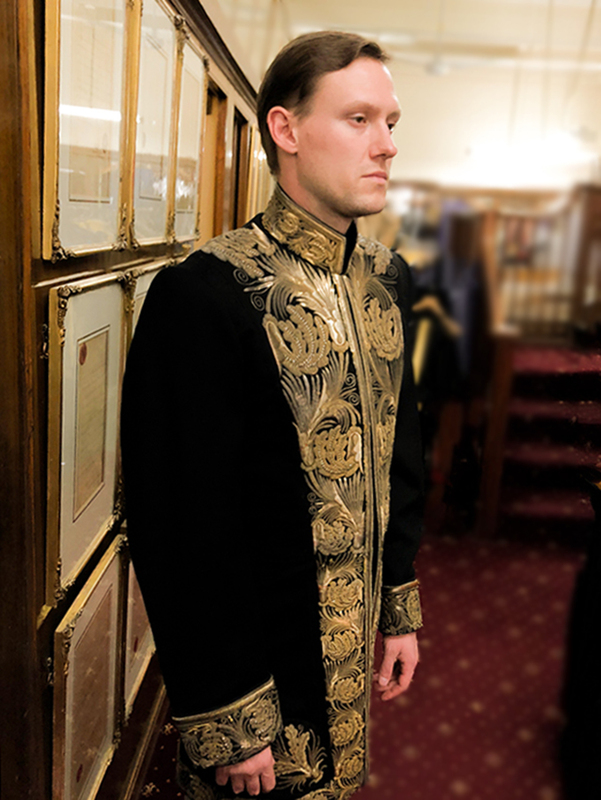 For those dedicated readers who have been following the ceremonial coat restoration process, we are pleased to say that it is finished. 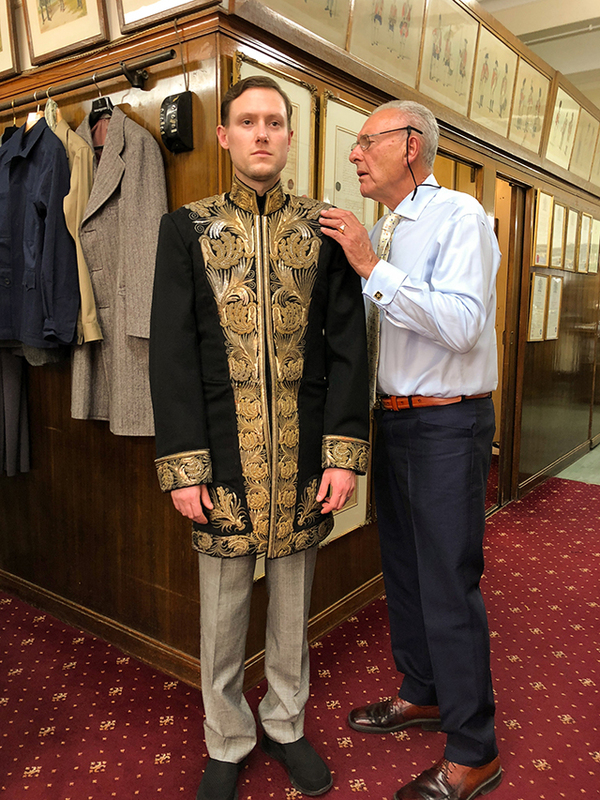 Before the customer came to collect, we asked M&M tailor and model, Steve 'Blue Steel' Phythian, to don the coat for one last time. 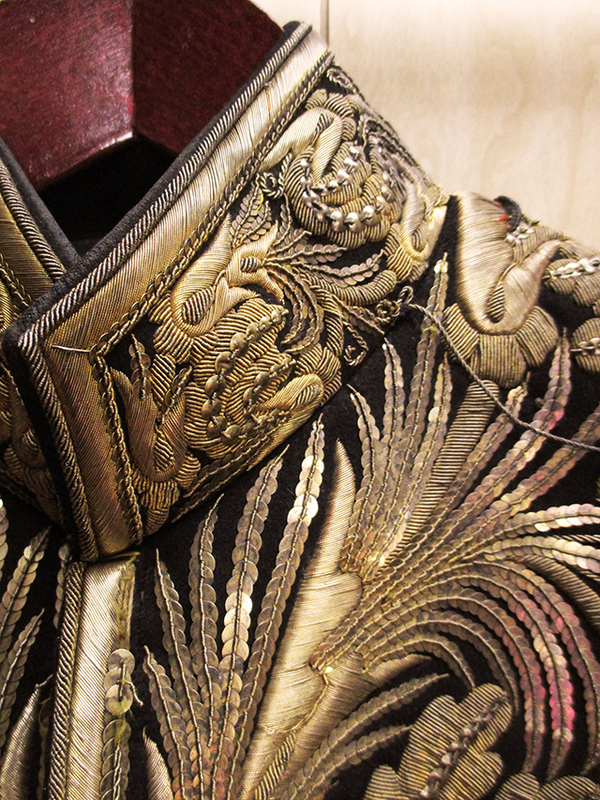 After working on the ceremonial coat for nearly six months, here are the latest pictures on its progress. 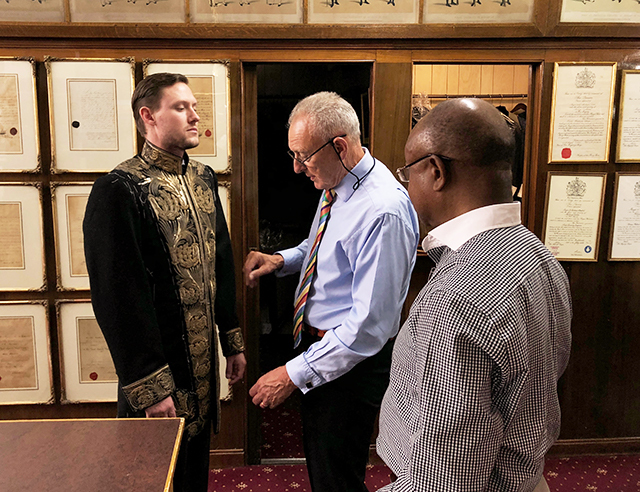 Director, Brian Lewis, works with tailor, Charles Davies, co-ordinating the ceremonial coat's repair with bespoke cutter, Steve Phythian, modelling. The ceremonial coat as we received it in December 2017. 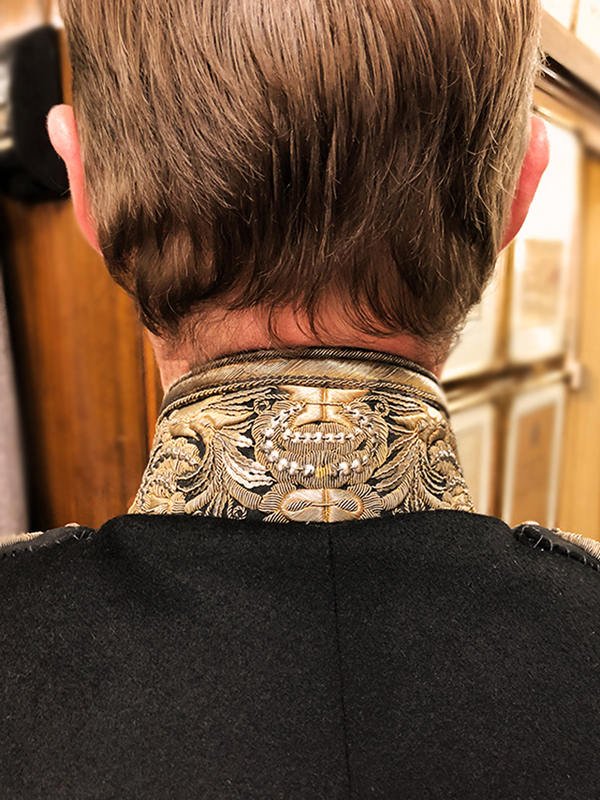 Although looking resplendent, it was in need of repair, particularly inside the coat where lining had disintegrated and seams were coming apart. 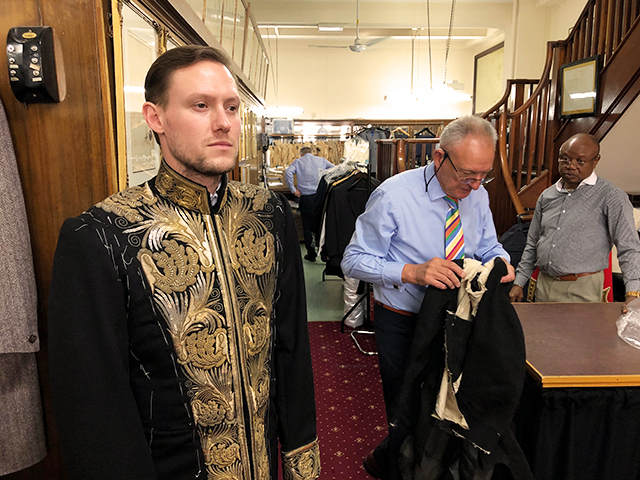 Meyer & Mortimer director, Brian Lewis, sets to work, with tailor Charles, to bring the garment back to its former glory.